The latest article by the smear campaigners is trying to assert that This Writer is guilty of anti-Semitism because of the behaviour of other people. The piece by somebody called Gareth Davies has been posted by Anti-Nazis United and claims to answer my own response to the Campaign Against Antisemitism’s (CAA) smear, that was published last month. I provide links to each piece so you, dear reader, can form your own judgement on them. Mr Davies begins by claiming that, despite stressing that I am not anti-Semitic, I either use or condone anti-Semitic language – and goes on to quote, not me, but a commenter to the blog, paulmabbo. He had written: “Anti Zionism equated with anti semitism. That’s a ‘new’ one. If they ask to speak to you ask them if they’re Hebrews, or from Judea. Or maybe Khazaria.” He concludes with a smiling emoji. Apparently the offence is caused by the invocation of the Khazar myth – a claim that modern Jews are descended, not from the 12 tribes of Israel, but from a conglomeration of Turkic peoples who lived in part of what is now Russia. But Mr Davies has taken the comment out of context. It is a response to an article, by me, exposing the Campaign Against Antisemitism’s complaints against me as a pack of lies. It seems to me – and I’m sure paulmabbo will jump in and comment again if I’m mistaken – that the commenter was mocking the CAA by suggesting that, since there is no factual accuracy to its article, perhaps its’ members’ ethnic origins are not as claimed, either. Note the emoji – it wasn’t a serious suggestion. My own guilt apparently stems from the fact that I moderated the comment and allowed it to be published. For clarity: I moderate comments to weed out offensive language – swear words and phrases indicating obscenity, and to present personal attacks between commenters (the phrase I use is “play the ball, not the other player”). I won’t tolerate racism, sexism, or attacks on minority groups, including Jews. This comment did not fall into any of those categories. It mocked the CAA, yes, but we don’t know anything about these people. How many of them are Jewish and how do we know? Next complaint: I ‘liked’ a tweet urging me to “stay strong against ‘the cabal'”. Quoted properly, the passage runs as follows: “Moving on, the article [by the CAA] attacks me for quoting from a website called Redress Online, because it publishes the work of Gilad Atzmon who, it is claimed, is a notorious anti-Semite. “I did, indeed, refer to that website – it was the origin of the infamous image of Israel superimposed on the American Midwest. There was no way to state this fact without referring to Redress Online! “The reasons for the image’s creation are as described in my article and have nothing to do with anti-Semitism but are, in fact, satirical. That puts it in a different perspective, wouldn’t you agree? Finally: There is a ridiculously long section connecting me with a blogger and alleged anti-Semite named Alison Chabloz, who I quoted as saying the CAA attempts “to use the law to silence dissenters”. I think that is a reasonable appraisal of the CAA’s behaviour. However, having had direct contact with Ms Chabloz, I very quickly realised her other opinions were abhorrent – and this is apparent from my response to her final (approved) comment below the article: “If you mock Jews and Jewish power, then your detractors may have a point about you. “The case against me fails precisely because I don’t attack anyone over their ethnicity or religious views – but for their political decisions. In fairness, Mr Davies does at least acknowledge that I do not support Ms Chabloz although, again, he quotes selectively – perhaps to protect a Twitter troll on his side? I had quoted a person going by the moniker ‘Jeremy Corbin’ (@CorbynSnap) who had tweeted: “I’ve befriended Holocaust Deniers, but identifying with a genuine Nazi on trial is a new record for a #Labour politician!” Then I pointed out that the point being made was inaccurate, because British justice demands that a defendant is innocent until proven guilty. However, the tweet had raised concerns so I wrote: “So you’re “a genuine Nazi”, apparently. And on trial! I take it both those pieces of information are inaccurate.” I was seeking more information. I got it; I didn’t like it. I expressed that dislike in my next comment, as you can see above. And then I stopped her from posting further comments. Mr Davies attacks me for not removing her words from the article I had written. I’m not going to remove them. They were put there in good faith and remain an accurate description of the CAA’s activities. Regarding her own character and behaviour, we live and learn. The words I quoted were about the CAA, though – and ring true. Blog posts are not like news stories, which have a legal duty to be fair and accurate – they are more like the so-called ‘angry columns’ in newspapers, which are opinion pieces in which writers air their views. The danger is that readers may read a post like that written by Mr Davies and think he is presenting facts – when in fact he is only putting forward his own skewed viewpoint. None of the claims made against me by Mr Davies are accurate because none of them show anti-Semitism, support for it, or support for anti-Semitic language. His article is dishonest, its evidence false. But I see people are still linking to it, and the CAA piece, on the social media. It doesn’t matter how often they repeat these claims, though. They will never be true. Can we, please, dispense with the term “anti-Semitism” and call it racism, unless it isn’t, in which case, would somebody please explain to me what it is. Giving it special status is cause unnecessary problems. It’s not called racism because Judaism isn’t a race, it’s a religion. It’s why anti-Islamism isn’t classed as racism (which right-wingers always use to justify their horrific abuse of Muslims), but because there’s no western guilt over the plight of Muslims, there isn’t a special name for it yet. Anti-Semitism, as I understand it, has nothing to do with Judaism, the religion but Jews, who are a people. That sounds like racism to me. Aye, Islam is a faith but there is no people attached to it, like Christianity but anti-Semitism isn’t anti-Judaism. You don’t have to practice Judaism to be subject to anti-Semitism, you simply have to be a Jew. I would seriously consider taking legal action if the smears continue Mike. I’ve got a criminal case against these people to do first. Let them bring one against you – far more interesting and far less risky, financially speaking. It would be appreciated if you gave an actual reason for stating that my views would be ‘abhorrent’ – rather than simply doing the CAA’s work for them without qualifying your remarks, not to mention relying on the out-of-context examples provided on Davies’ blog. These examples of my tweets are the exact same ones cited by CAA and others over the past two years which have resulted in the persecution I described in my earlier comments on your previous post. For what it’s worth, I wish you good luck today and hope that Davies, after showing his true colours, is toast. I was responding to words you have written to me, expressing your opinion of Jewish people. Another thought – which no doubt you will refuse to publish but I don’t really care, at least I know you’ll read it : if you had honestly investigated my situation, you would know that police washed their hands of any involvement in my case. This, despite me receiving anonymous, threatening post to my home address, numerous death threats and having my gigs and venues continually targeted. I was arrested within 24 hours of Gideon Falter bringing his private prosecution (for writing a satirical song) on trumped-up charges of harassment and incitement by THE SAME PEOPLE who’d been sending me the anonymous post. My arrest also came two weeks after police announced that their investigation into the threats, targeting and anonymous post I’d received was closed. Police failed to bring any charges against me because they have no evidence whatsoever of any crime being committed. The CPS has still failed to bring charges for my songs yet I’m still apparently ‘on trial’. The question must be asked: whose side are police on? I side with the facts, and with people who are innocent of wrong-doing. Well sorry but you will have to be put into the naughty corner with Ken Livingstone for having the gall to speak the truth, this is beyond a joke. Don’t be intimidated by these people.As far as I am concerned,Zionism is a racist creed,at least in practice in Palestine. I’ve heard many an implausible pretext for calling written work ‘anti-Semitic language’. But this may be the first time in history that I’ve heard of ‘anti-Semitic punctuation’. These attacks are not just insidious, they also make the Zionists look very silly. Well, Mike, Tories up 150 counsellors and Labour down 115 at the time of writing with worse to come. I hate to say it but: I TOLD YOU SO. After the wipe out at the forthcoming general election I hope you regain your senses. Brace yourself. Good luck to all. We now have the Tories dominant in local government and probably about to win a large majority in the general election in June. I am so sorry for the things that will now play out and happen over the next four or five years. You mean, thanks to the ignorant British people who have allowed this to happen (none of whom read This Site, of course). Oh, and Labour is down by 65 councillors, and the counts aren’t over yet. UKIP is being wiped out. Perhaps Jezza should replace the voting public with a more favourable electorate, Mike. Under those circumstances, if the new voters are hand picked, Labour might have a chance of finally gaining some ground on the Tories. Propaganda at its very best. Tell me, what is so bad about Jeremy Corbyn and his policies? The public is being blindsided, herded, like cattle. Few people, in this country, are allowed to think for themselves; this is as evident in programmes like X-Factor as it is in politics and it is scary. Where is the scrutiny? A lie told often enough becomes the truth; the self-fufilling prophecy. Jeremy Corbyn is an oxymoron, a paradox; a politician with principles; a politician with a conscience; a politician who sets out to do what he promised; a politician who speaks true; a politician who works in the interests of the people. Why do people believe that he is unelectable? Has he not held his seat for 34 years? that sounds more than electable to me! 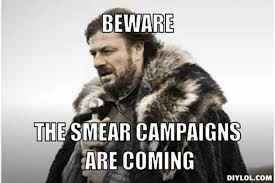 The smear campaign against him is the most successful in recent times but to what end? Why does nobody ask questions and if Mr. Corbyn is SO bad, in opposition, why are people voting for a party that is disastrous, callous, destructive, incompetent and wasteful in government? It makes NO sense to me, whatsoever, other that that people are being fed a hefty diet of lies. I have said it many, many times and I’ll keep on saying it until people wake up; we are becoming a nation of sleepwalkers but the people do not realise that they are being fed sleeping pills. WAKE UP, BRITAIN! 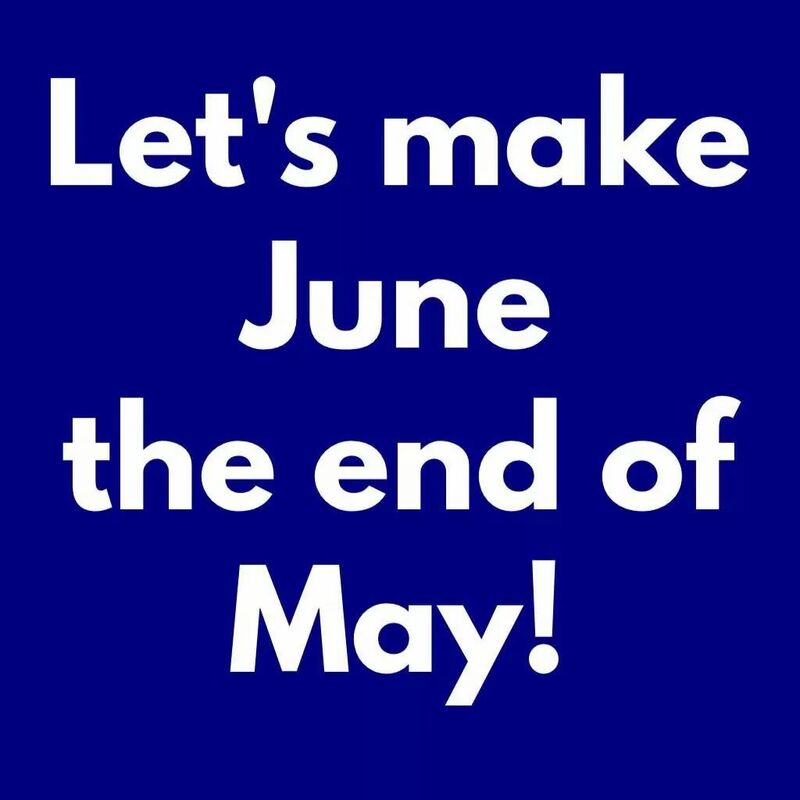 Perhaps, the General Election will give us the result that is requirèd. Another thing to consider is that people have been going to to polls a lot (especially £abour people) and many, if they intend to vote, will wait for the General Election so, I wouldn’t read too much into this result, yet. Half the voting public are un-represented and without rights. Parliamentary sovereignty gone, Separation of powers gone, Independent judiciary gone, Democracy gone. Caring people gone. Hey, Paul, plenty of credit to go around. Don’t forget to say thanks to the Blairites and their allies in the PLP who have spent over 18 months stabbing Corbyn in the back and then expressing complete mistification when the electorate see a split party. Oh sorry, I’m not supposed to mention that, am I, Paul? We’re not supposed to acknowledge nuance or complexity, we’re supposed to subscribe to the simplistic ‘blame-everything-on-the-leader’ narrative so that you can reassure yourself that Labour’s problem is easily solved. Never mind that Labour has done the ‘blame-everything-on-the-leader’ narrative at the previous two General Elections and found themselves nowhere afterwards both times. Jeremy Corbyn failed to persuade seventy plus of his OWN MPs to get behind him and, the truth is, that. just like Ed Miliband, unaffiliated members of the public have neither warmed to him or given him their trust. It is ridiculous to blame the electorate (like Mike does), or to blame the Blairites (like you do), or blame the media, or blame the BBC, or blame non-Corbynite MPs and Labour party members, and so on and so forth without considering the whys and the wherefores in respect to why the public have walked away from the party, many transferring their support to the Conservatives for the first time. Jeremy Corbyn will NEVER win doubters over; this has been the case almost from the word go. Not only are a large majority of the voting public too dubious about Corbyn to vote Labour, a very large number of formerly loyal Labour voters, Labour party members and Labour MPs have no faith in him or trust in his competence. Lest we forget last week Labour lost control of Glasgow council for the first time since 1980; lost more than 300 seats on other councils, with the Tories winning nearly 600. Labour lost its status as the largest party in Cumbria, where the Tories ousted councillor Gillian Troughton just weeks after defeating her in the Copeland by-election too. Labour also lost control of heartlands Blaenau Gwent, Bridgend and Merthyr Tydfil – the Valleys town with coal mining heritage whose MP was once party founder Keir Hardie. These are catastrophic results for an opposition. People like you and Mike, self-blinded by what is actually going on, are dooming the poor, sick, disabled, single-parents, homeless, unemployed and needy to permanent life under the Tories by slavishly promoting Labour leaderships which too few people will ever vote to ever return a Labour government to power. Worse is to come next month, in the general election, when the parliamentary ranks of Labour are set to be decimated. No doubt people like you will blame everything other than the real causes behind Labour’s annihilation but by then it will be too late and and unstoppable Tory party, with a large number of hungry, ambitious, nasty, new right-wing MPs in former Labour seats, will rule like an absolute monarchy for at least five years – forever probably if Labour continues down the road it is on currently. For the innocent millions who destined to suffer poverty, pain, misery, homelessness, joblessness, exploitation, sickness, pain and even death because of Conservative social policy I could not be any more sorry. I Corbyn had only been honest enough and brave enough to fall on his own sword earlier the forthcoming disaster might not have been so fatally awful. Incidentally a symptom of Antisocial personality disorder is to blame others for things when they go wrong and refuse to take responsibly for what goes wrong, when it goes wrong, even when it is your own fault. If Jeremy Corbyn’s own MPs didn’t support him, then they have betrayed the will of the party they claim to represent. Who are they REALLY working for? Mostly it was UKIP supporters who transferred their vote to the Conservatives, I think. If you’d like to know what people really think has caused Labour’s electoral difficulties, read this from Brian Elects: https://twitter.com/BrianElects/status/860598405667717121 It’s a joke account but it carries more truth than anything you’ve had to say. The results weren’t good, I have to admit. We lay it all at the door of Hilary Benn and the Chicken Coup organisers. Who were they, again? No – people like me are not dooming the poor, sick, disabled, single parents, homeless, unemployed and needy. If we allow right-wingers to retake Labour and turn it back into another pale carbon-copy of the Conservative Party, those people will be doomed anyway. Or have you forgotten Owen Smith’s dismissal of calls for Labour to ditch the work capability assessment? He said the party wouldn’t make that commitment because of the way the right-wing press would react. The Conservative Party is only in such a commanding position now because right-wing Labour has put it there. But you don’t want to know that. You will never accept the real causes behind Labour’s current problems because it is your blind spot. Instead, you keep on and on, repeating the same sad lies because you know that someone out in the real world, who doesn’t have enough evidence to dispute your claims, will believe them and vote against Labour. But then – if you support the right-wingers in the Labour Party, you are a weak Tory in disguise. The correct response to the council election result is to call for the removal of the right-wingers who are poisoning the Labour Party, and for the rest to get behind Labour’s common-sense policies, get out, and convince the waverers. But you’ll never see the sense in that, because you like things the way they are. Go and join the Tories. You sound like a religious zealot, Mike. With God all things are supposed to be possible, according to Saint Paul anyway, but winning a general election with Jezza as Labour leader is and will always be impossible in my opinion. I will be voting Labour in the general election, as I recently did in the local election, in the full knowledge that I have no chance of having a Labour MP this year or in the foreseeable future. I’m so very sad to see so many good people so hopelessly lost. I will return one more time after the general election to say “I told you so” one last time and call it a day. Labour will be completely irrelevant for five years after that and so there won’t be any purpose served by discussing the party’s future until the leaders are replaced with more plausible people. I don’t believe you will be voting Labour, Paul. “a symptom of Antisocial personality disorder is to blame others for things when they go wrong and refuse to take responsibly for what goes wrong, when it goes wrong, even when it is your own fault. Indeed it does, Paul. It reminds me of about three-quarters of the PLP. For instance, those PLP members who blamed Corbyn for the Brexit vote, even though he did more campaigning for Remain then any other party member, and the MPs who mobilised the Chicken Coup against him almost all had a dominant Leave vote in their constituencies. Just as an example, you understand. Want more? How about your own example – Gillian Troughton? Corbyn had wanted Rachel Holliday to stand at Copeland. He was overruled, Troughton stood instead and blew it, and then Corbyn got the blame for a decision he hadn’t made. You are underlining our point, not defeating it.